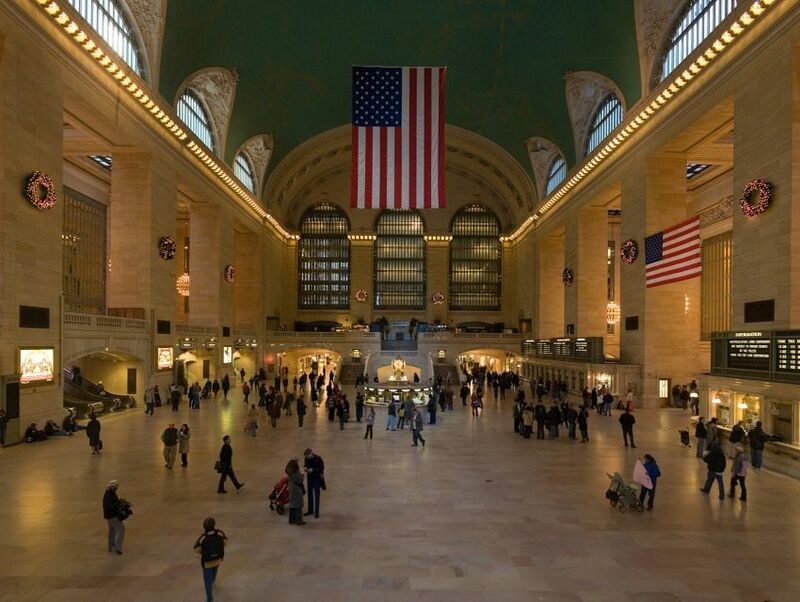 New York's Grand Central Terminal, often inaccurately referred to as the Grand Central Station, is one of Midtown Manhattan's most resplendent architectural jewels and one of the busiest terminals in the world. Completed in 1913, the majestic Beaux-Arts beauty is richly embellished, its interiors a love affair with marble, while the ornamented facade is topped by The Glory of Commerce - a riveting sculpture that depicts Mercury, Hercules and Minerva overlooking the riotous city from a lofty perch, the world's largest Tiffany stained glass clock at their feet. Painted constellations arch above the iconic main hall, featured in any number of movies, its vaulted ceilings an awe-inspiring sight. Today, the building also houses chic shops and a dining concourse, alongside 44 platforms that cater to commuter, intercity and rapid transport trains, attracting commuters and tourists in equal measure.